DSC_1015.jpgCool conversions. Converting/green stuffing is not my forte. Here's one of my only conversions to date. Still one of my favourites is this looted wagon. 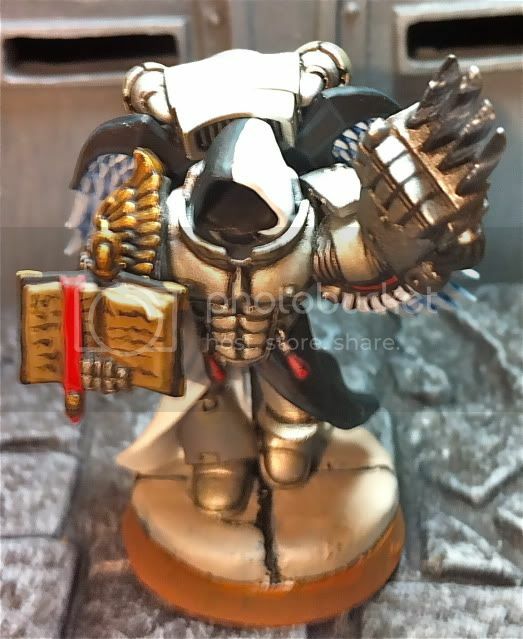 Its suppose to be what YOU think YOUR best conversion is. Others may think differently but oh well. P.S Great stuff! 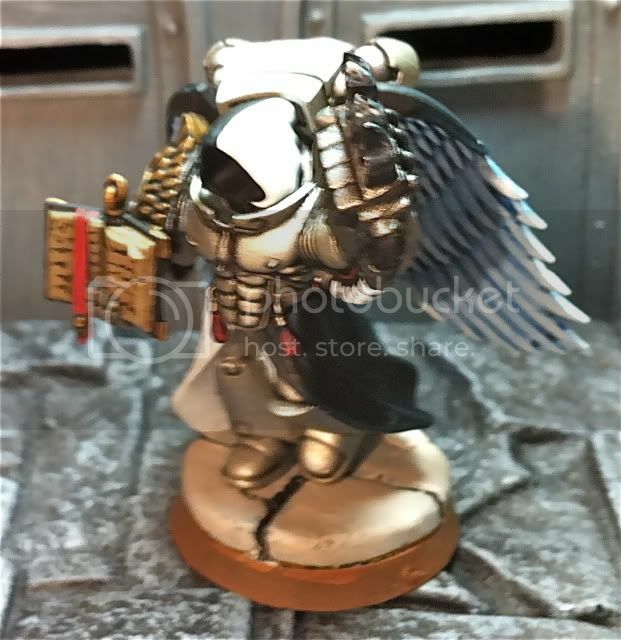 really liking some of the models that are being posted. Except for that Vash character.... his modelling skills could use a lot of work. This one of my own favourites. 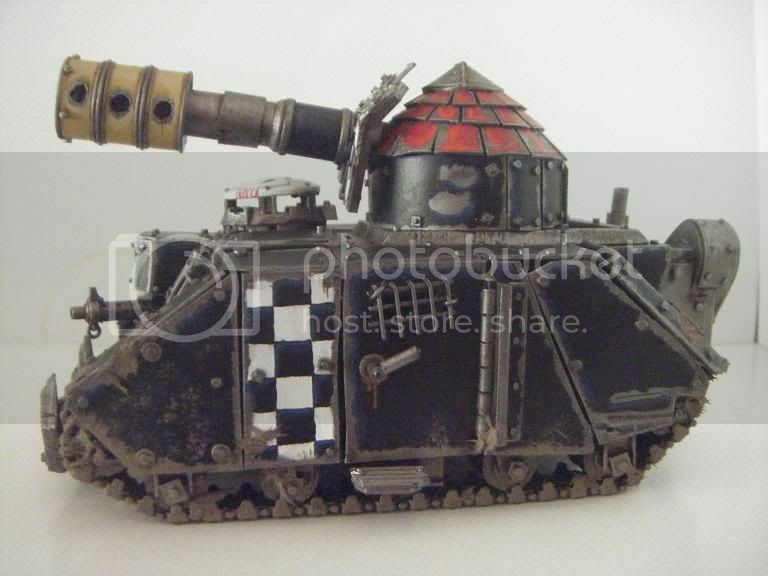 The paint job isn't great, it was done 8 or 9 years ago, but the model itself is still one of my favourites. The right arm is Ghazkull's, and the left arm is actually the model's original right arm with the claw chopped off and the chainblade stuck on. The head is from the Inquisitor archo-flagellent. 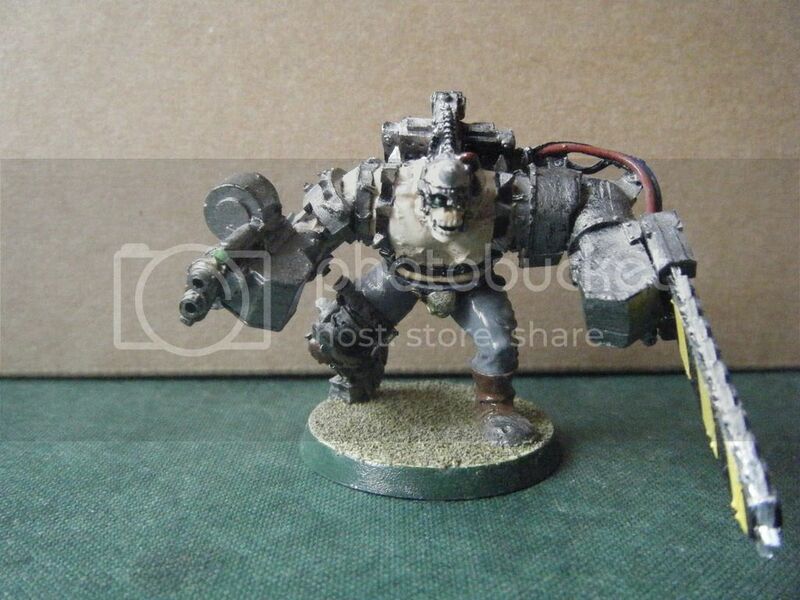 Thats the Krieger Krash Thrax model isn't it. 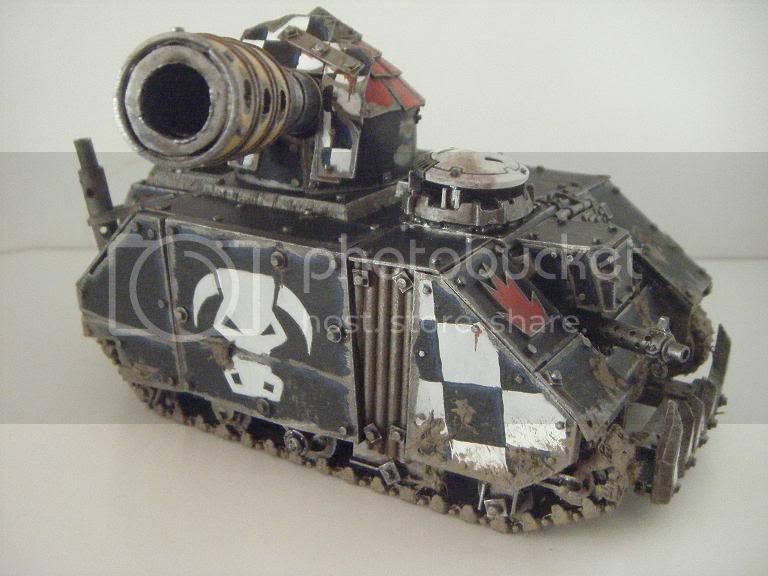 I have allways wanted to do a conversion on that model. 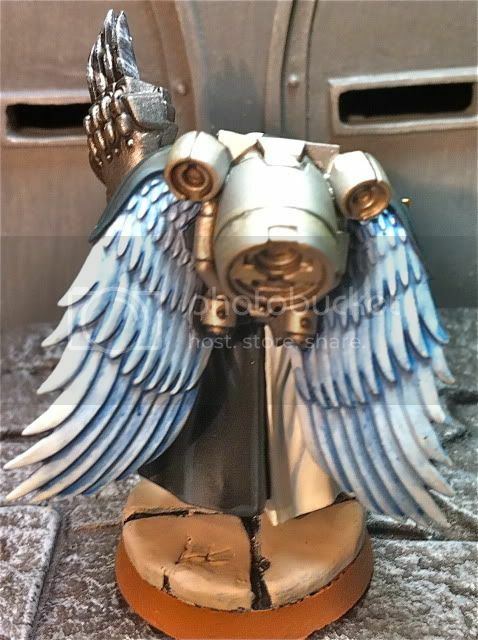 Parts from DA Veteran, Sanguinary Guard, Commander Sprue combined. Head was drilled out DA Vet head. Yeah, I have three of them. One is as it's meant to be, and the other is (or was until it fell off a table) mixed with sentinel legs to be a combat servitor as part of the AdMech warband they were all bought for. Alexious, that is a fantastic model. The silver is beautifully smooth. What's the story with his face, or lack of one? Is it deliberately blank, or are you adding something to it?